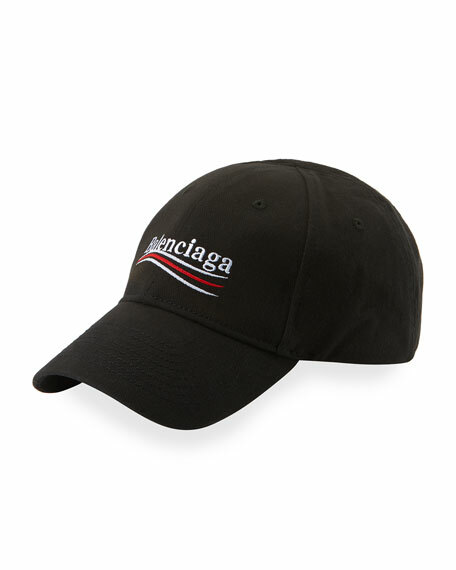 Balenciaga baseball cap with embroidered "Balenciaga" logo rendered in campaign style. For in-store inquiries, use sku #2460963. 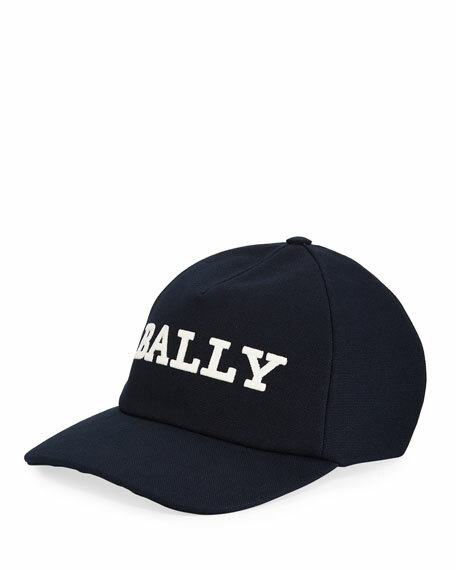 Bally baseball hat in solid canvas. Logo embroidery across front. Paneled crown with top button. Adjustable drawstring strap. Curved brim. Cotton. Made in Italy. 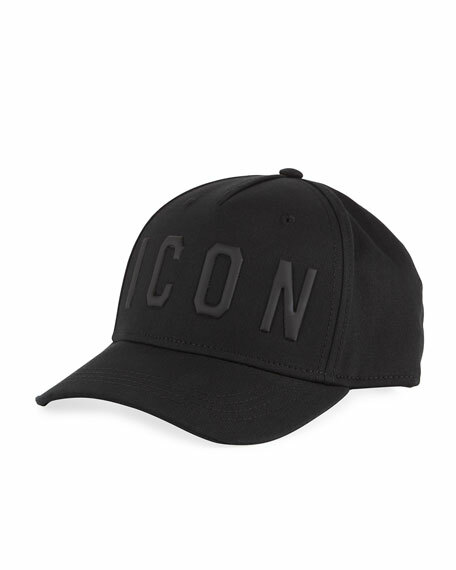 DSquared2 baseball cap in gabardine with "ICON" message embroidery across front. Logo embroidery and adjustable slider on back. Five-panel design. Button at crown. Cotton. Imported. 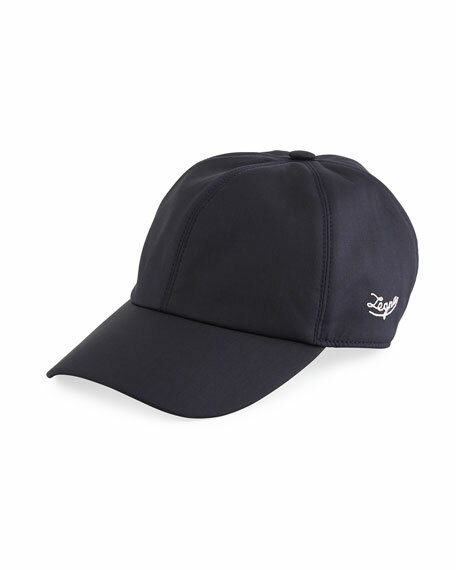 Ermenegildo Zegna baseball cap in leggerissimo weave. Five-panel construction. Elasticized back strap. Button at crown. Wool/silk. Cotton/rayon lining. Made in Italy. Fendi baseball cap in glazed signature FF canvas. Five-panel construction. Button at crown. Polyester/cotton. Cotton lining. Made in Italy.